Whether you're looking for a powerful truck to haul materials to a job site or a van that will cater to the transportation needs of your small business, Premier Chrysler Jeep Dodge Ram has a commercial RAM vehicle in stock for you! 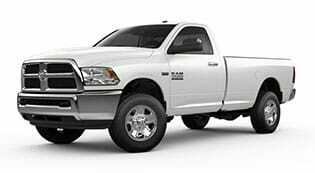 Our professional Ram sales department is up-to-date on all the models we have in store and will happily review not only the warranty that comes with your commercial vehicle or truck purchase but the financing options we offer as well! Don't hesitate to tell us about what you're looking for, and the amenities you'd like to come standard. 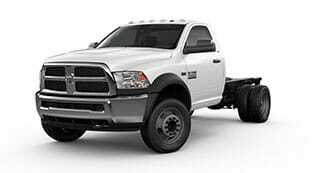 We'll listen to your Ram commercial vehicle or truck requirements before presenting you with a range of options. We'll also accompany you on a few test drives so that you can get a feel for the responsiveness the Ram model lineup has to offer! 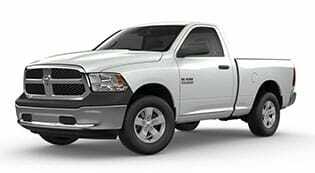 Motivated by a 3.6L Pentastar® V6 Engine with 305 Horsepower and 269 Pound-Feet of Torque, this new RAM 1500 Tradesman is the truck that motivates you to greatness. Key features include 40/20/40 Split-Bench Vinyl Seats and Quad-Halogen Headlamps. Looking to maximize the function of your bed without losing precious cargo room? the RamBox® Cargo Management System offers the storage solutions you're looking for. When you need a truck to comfortably carry up to six people and have up to 800 pound-feet of maximum diesel torque, you need the Ram 2500. The Premium Cloth 40/20/40 Split-Bench Front Seats and 10-Way Power Driver Seat with Two-Way Power Lumbar Adjustment add to the comfort. Climb into the cab and take command of the 6.7L Cummins® Turbo Diesel I6 Engine feeding power to the 18-Inch Polished Aluminum Wheels. The Ram 3500 offers multiple trim configurations and a choice of two gas engines or a diesel engine. With this many trim and engine options, drivers can tailor the ideal truck to suit your needs. Will it be the 6.7L Cummins® Turbo Diesel Engine or the Heavy-Duty 6.4L V8 Engine? Perhaps the standard 5.7L HEMI® will get the job done. Attractive standard features include Uconnect® 4C with 8.4-Inch Touchscreen and a Premium 7-Inch Customizable Driver Information Digital Display. Do you need a medium-duty commercial-grade truck? If so, the 6.4L HEMI® V8 Engine or the 6.7L Cummins® Turbo Diesel I6 Engine with Smart Diesel Exhaust Brake System under the hood of the Ram 3500 Chassis are sure to get the job done. The Ram 3500 Chassis offers Power Take-Off Capability from both the left and right-side. Take advantage of the 50,000-PSI Rear Frame Strength to tackle whatever your job site throws your way. Sometimes, the job calls for a work van. 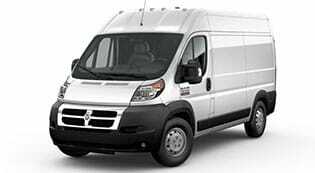 Why use any van other than the Ram Promaster City with its 28 Highway MPG, 10,000-Mile Oil Change Intervals, and a cargo capacity of up to 131.7 Cubic Feet. The 60/40 Split Rear Doors put the narrower of the two doors on the passenger's side. This ensures curb access isn’t blocked during deliveries. Drivers will also enjoy the low load floor height of 21.5 inches. When you want a work van that gets you the gas mileage you want and the convenience you need, you want the Ram Promaster City. 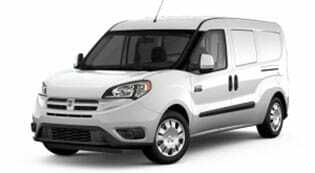 The Ram Promaster is the cargo van that gives you a 36-foot turning diameter and a standard cargo height of 65.4 Inches. Discover a cargo van with front-wheel-drive for impressive traction and mobility. Navigate busy streets, job sites, and loading docks with ease thanks to the ParkView® Rear Back Up Camera. In the cargo area, you'll find nearly 90° Vertical Walls to optimize storage and load space. Secure whatever you are transporting securely to the walls of the Ram Promaster. Use our interactive website to explore Ram commercial cars for sale near Metairie, Louisiana and be sure to contact our team in New Orleans when you're ready for an exciting Ram ProMaster Van test drive! Our new and used Chrysler, Jeep, Dodge and Ram dealership offers customized commercial vehicle shopping experiences so that all drivers in the area can secure the ride that complements their needs with ease. From rugged pickup trucks to affordable commercial vans, our dealership has you covered. Shop on-site or online today!